Alexander Morley: Two Women & a Fish. Wood engraving, signed & numbered 1/50. 20.5 x 17.5cms. In mount 39 x 34.5cms. A pencil note on the back of the mount says ‘Exhibited Redfern Galley 1930’. I don’t know if this refers to this particular print, or to the artist. Category: Original Prints. 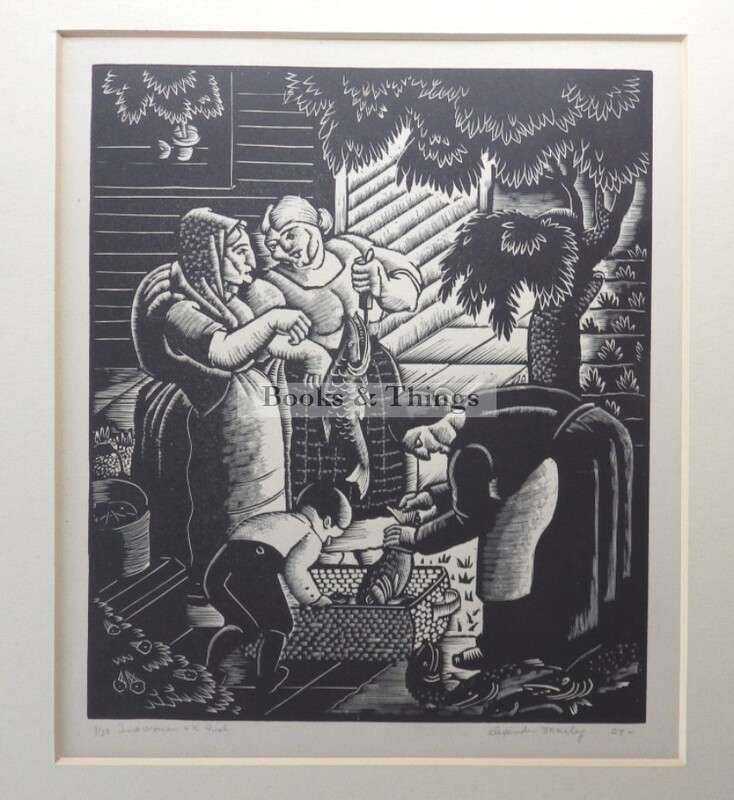 Tags: Alexander Morley, woodengraving.